The CDC reports that US children between the ages of 2 to 18 are still not eating enough fruits and vegetables, although consumption has increased by 67% since 2003. Children who eat a lot of sugar have an increased risk of obesity and diabetes, are more prone to be diagnosed with allergies, AND can have cold-like symptoms (scary!). Researchers at the University of California-San Francisco and Touro University placed kids on a reduced sugar diet and saw benefits in less than 10 days. 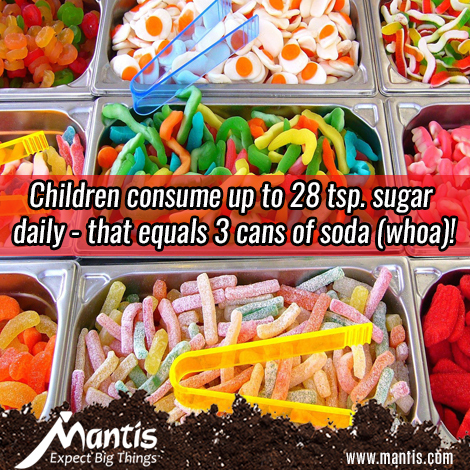 Sugar can cause havoc in your kid’s diet! Be a good example. Children tend to follow their parents’ eating habits, the more veggies you pile on your plate, the more they will! Start a garden. Get them involved by teaching them how to grow their own food! Kids will be more inclined to try vegetables they have grown. Kidsactivitiesblog.com shows you not only how to get your kids involved in planning a garden but how easy it is to get started with your light-weight Mantis Tiller! 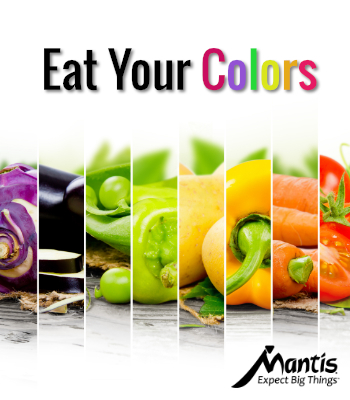 Make new foods fun. Let them experiment with various dips like dressing, salsa, yogurt, hummus, and/or the most popular of them all…ketchup. Have them help in the kitchen. Get your kids interested in prepping the meals; they will want to try what they cooked or prepped. Allow a sweet here and there. Don’t make eating sugary sweets taboo – allow them to have a special treat once in a while! Eating healthy is not a diet but a lifestyle, so it’s important to get your children started at a young age. A healthy family is a happy family. Stay tuned we have some simplekid-friendly garden to kitchen recipes coming up!